For over a decade, Terrakon Marketing has provided pay per click management services to clients throughout the United States; in a wide variety of industries; and to businesses of all sizes. Pay per click, also called paid search, is Terrakon Marketing’s exclusive service offering and I am laser-focused on providing the best pay per click management services possible to my clients. Terrakon Marketing works with all major paid search platforms including Google AdWords, Bing Ads, Yahoo Gemini, Facebook Ads and LinkedIn Ads. The pay per click management services outlined below are not all encompassing and I’m happy to customize any paid search management service to best meet your needs. 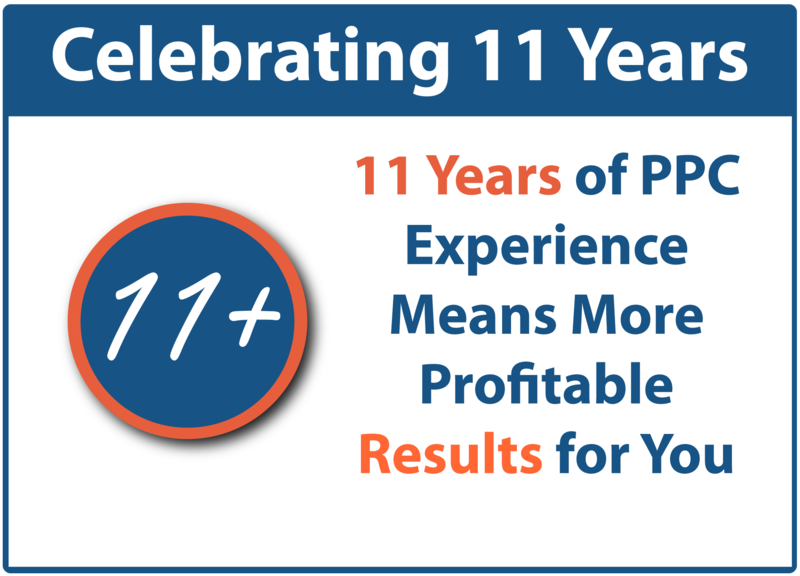 PPC ProfitMax – ProfitMax includes two phases. The first phase depends on whether you currently have an active pay per click account or not. If you currently are running pay per click ads, I’ll restructure your current account to ensure the structure reflects current best practices and the PPC Platforms’ latest features. If you do not have a current PPC account, I’ll set-up a brand new account structure using the same criteria of best practices and latest features. Once the account is restructured or set-up, I move on to the second phase which is the optimization and management phase. On a monthly basis, I conduct the day-to-day pay per click management activities necessarily to ensure performance gains are maintained as the competition adjusts/improves and/or the pay per click landscape changes – which is still very frequent these days. Click the Pay Per Click Management Pricing page for PPC ProfitMax cost information. PPC KickStart – KickStart is essentially Phase I of ProfitMax where your current account is restructured or a new pay per click account is set-up, but I conduct additional activities to help prepare the account to be managed on a day-to-day basis by your own internal resources. KickStart is best suited for companies who have the internal resources and expertise to manage pay per click, but are looking to ensure their pay per click programs are structured to have the absolute best opportunity for success. Click the Pay Per Click Management Pricing page for PPC KickStart cost information. PPC GuardRail – GuardRail is a unique Terrakon Marketing product created for clients with lower ad spends. PPC GuardRail clients may have limited resources and/or expertise to manage the day-to-day pay per click activities, but do not have the financial resources for full service pay per click optimization and management. PPC GuardRail requires the PPC KickStart service initially and my GuardRail service offers limited pay per click management activities to keep your pay per click results within acceptable levels. Terrakon works silently in the background with GuardRail, there is no personalized service or regular interaction. In addition, a monthly report is generated which includes charts, tables, Quality Score information, and a few suggestions on actions the client may want consider in order to improve pay per click performance. Click the Pay Per Click Management Pricing page for PPC GuardRail cost information. PPC Consult – Consult includes ad hoc pay per click consulting billed at an hourly rate or as a fixed fee with a scoped project. PPC Consult may also be used as a follow-on to PPC KickStart where 5 or 15 hour blocks of time may be purchased, in advance, at a discount over standard hourly rates. 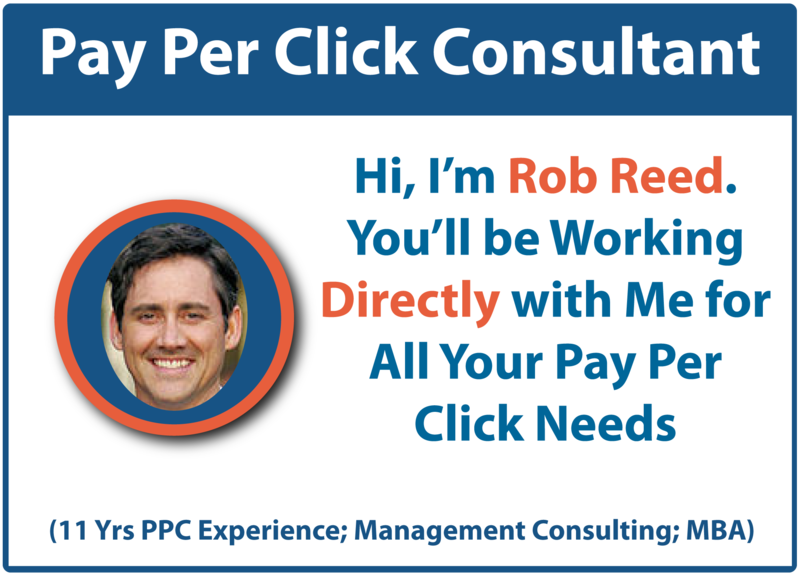 Please contact me (Rob) at Terrakon Marketing directly for pricing and details on PPC Consult.